Bring your favorite book to read to a trained Reading Education Assistance Dog. A warm fuzzy dog who likes to listen to you read is waiting for you at the Corvallis-Benton County Public Library. Ages 4-10. Held on the 1st and 3rd Thursdays of the month, from 3:30-4:30 pm in the Brookes Reading Room. Parental Permission Form required. For more information contact Youth Reference at 541-766-6794. The Reading Education Assistance Dog program (R.E.A.D.) provides beginning readers an opportunity to practice their reading skills in a non-threatening environment. The dogs and their handlers will work with individual children on a one-on-one basis for approximately 15-20 minutes during a session. There is no charge for this program. 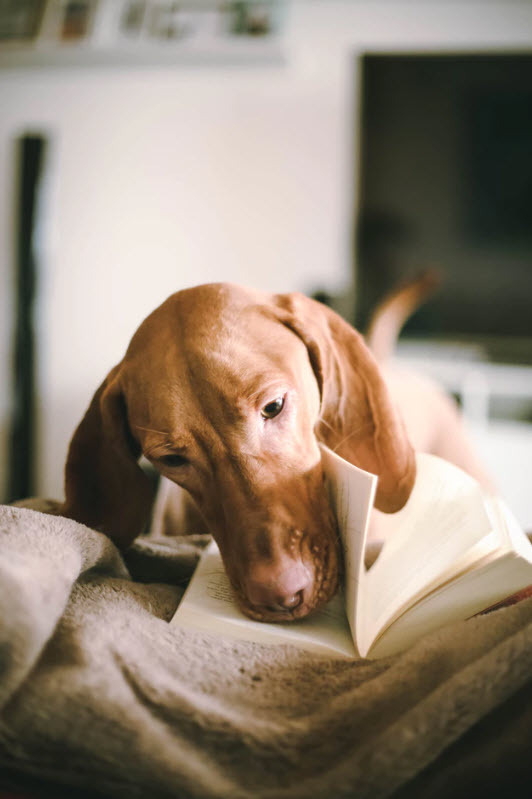 The dogs and handlers have been insured for liability and have undergone reading education training in addition to their extensive training and registration to do animal-assisted therapy. If you are interested in having your dog participate in the R.E.A.D. program, please contact Welcome Waggers, Wendy McCoy, at 541-760-0476.